"This is a once-in-a-lifetime chance, so people should see it," said Nancy Black, a marine biologist with Monterey Bay Whale Watch, who has decades of experience on the bay. "This is just unheard of. It's unbelievable. Nobody has seen this anywhere in California." During the weekend, several families of migrating transient killer whales decided to take a detour in to the bay and -- orcas being orcas -- generally made a nuisance of themselves. They scattered a flotilla of hundreds of sea lions feasting on anchovies, claiming the slow ones for a meal. They shooed away humpback whales who had been dining peacefully nearby, and some of the youngsters even chased after sea birds. Don't miss your chance to witness this awesome event. Plan a Monterey Bay getaway and stay at anyone of the Inns of Monterey hotels. 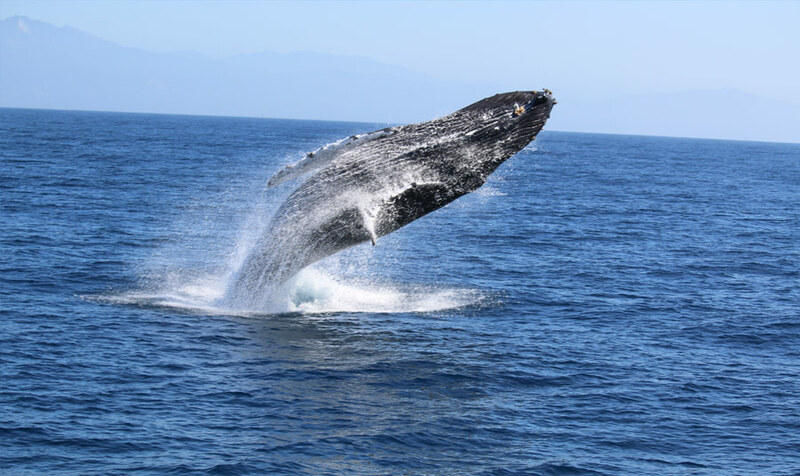 Reserve a Whale Watching Package at the Monterey Bay Inn for spacious accommodations, ocean views, complimentary continental breakfast and of course, the opportunity to see incredible sea life! For more on this story by Jason Hoppin visit the Santa Cruz Sentinel.